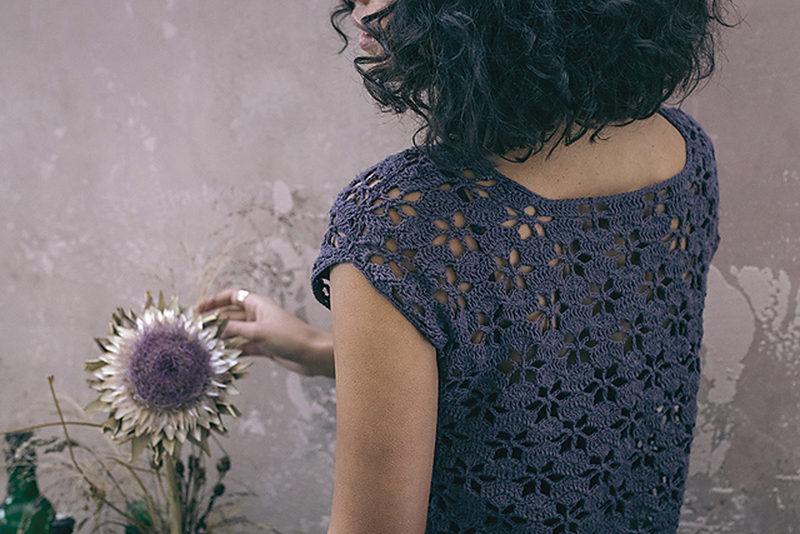 Taken from: Pom Pom Quarterly - Issue 28 - Spring 2019 "Water Clover" - Botanically-inspired, we LOVE the flower detailing of this tee! 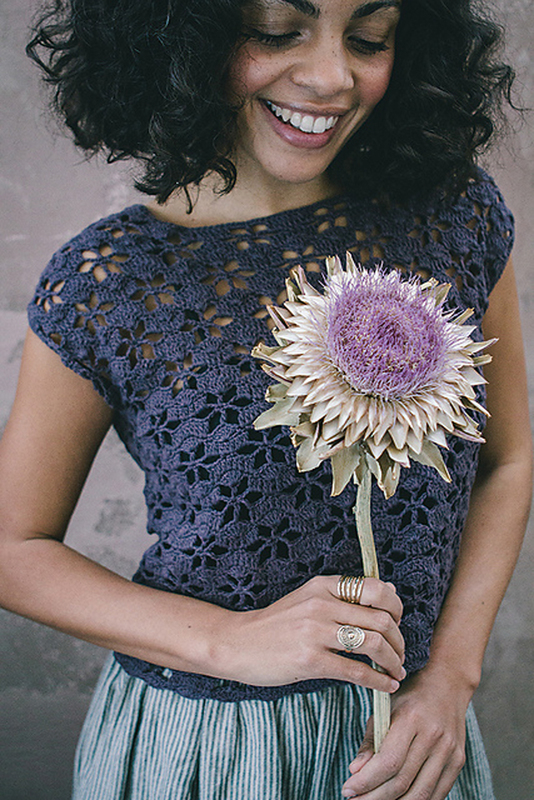 Layer for added effect, or wear on its own - this tee is so cute, all of your friends and family will be asking you to crochet one for them too! Size US 1.5mm crochet hook (or size needed to obtain gauge) are required but not included. Sizes: 1 (2, 3, 4, 5, 6). 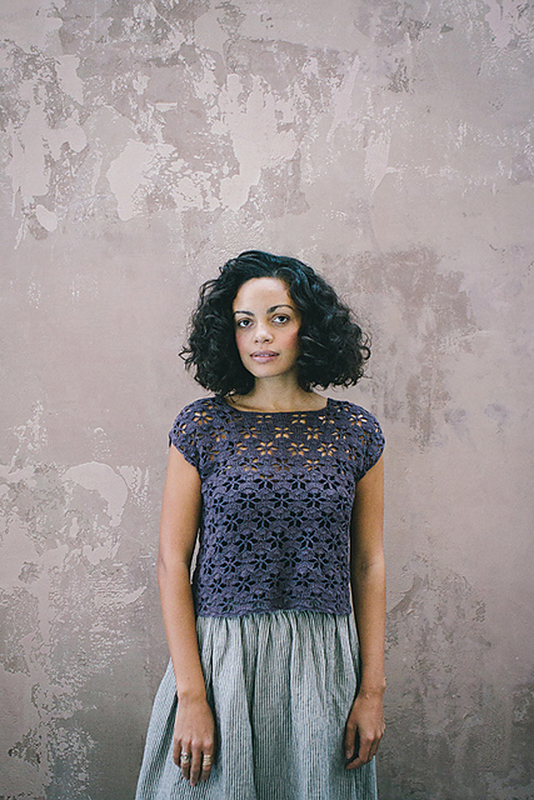 Finished Bust Measurements: 32 (36 1/4, 40 1/2, 45 1/4, 49 3/4, 54 1/4)", after blocking. Gauge: 28 sts & 12 rows = 10cm / 4". Yarn Shown: Kelbourne Woolens Mojave, which we do not currently carry. We recommend using Shibui Fern as a substitute. Bust Size 32", 36 1/4", 40 1/2"
$90.50 -- Kit price including yarn and pattern book. 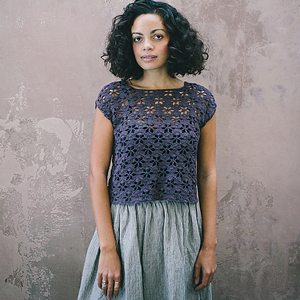 $126.50 -- Kit price including yarn and pattern book. $144.50 -- Kit price including yarn and pattern book.